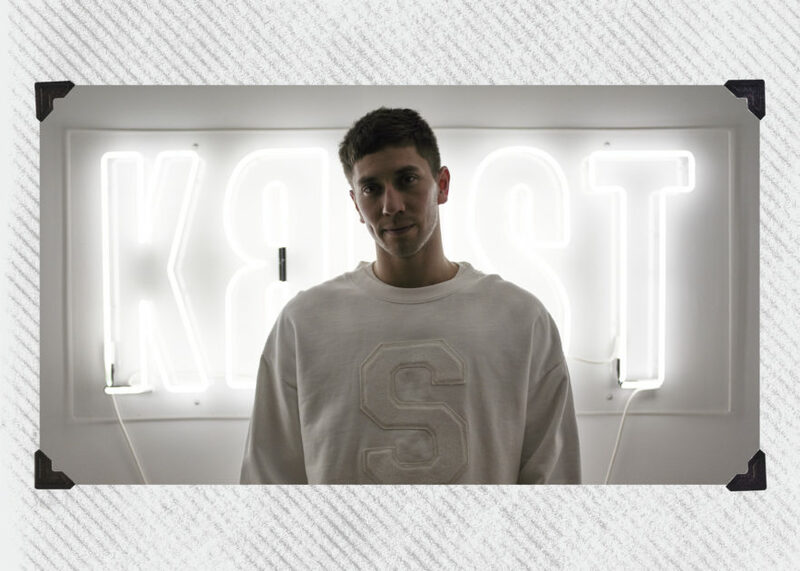 Editor’s Note: In a world built on exclusivity and limited releases, newcomer Samuel Krost is disrupting the luxury streetwear space with an inclusive message to “Support Your Friends.” His emphasis on ethical fashion, and prioritizing social activist organizations for partnerships makes KROST more than just a brand, but a moving story with a powerful message. 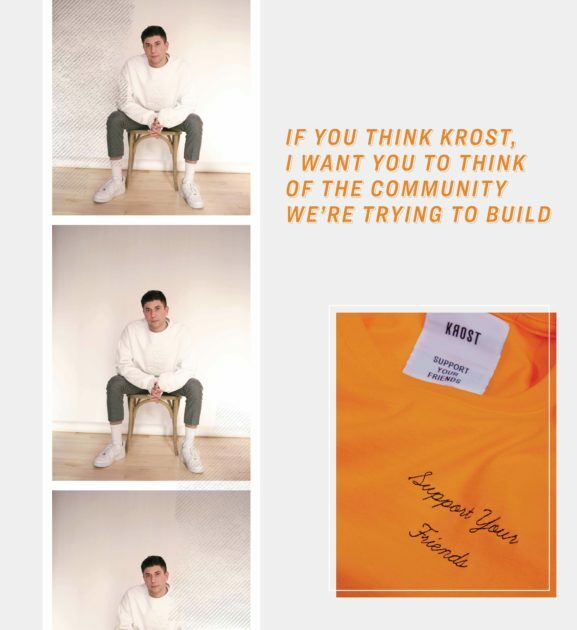 During prep for the launch of his Second Semester Collection, we visited Samuel and part of his team in SoHo, New York to talk about how KROST is using fashion to build a community and further their message. Read up. Ari Nonahal, STOCKX: Can you introduce yourself? Samuel Krost, KROST: My name is Samuel Krost and I’m 26 years old. I grew up in a small town outside of New Jersey, just an hour outside of Manhattan, in very close-knit community. I came to the city to attend NYU where I have a lot of family history. My older brother, my mother and my uncle all went to NYU. I never thought I would be the New York guy and now I just can’t picture myself anywhere else. A: You launched your First Semester collection for KROST at the end of last year and have seen such positive feedback. Can you give us a backstory on your career? S: I’ve always had an affinity for fashion. I graduated with a business degree, but during my time at NYU part of my degree required me to have a certain amount of internship hours. I ended up interning with a brand called Onia, a men’s luxury swimwear brand, which was an incredible opportunity. It was no cliche. I started in the summer and was in the sample basement with my shirt off packing up samples. Within that company, I really had the opportunity to grow. They gave me the opportunity to work within each department of the company, allowing me to become proficient enough where I believed I had a working education across the industry’s landscape. It [Onia] was carried in Barneys, Bergdorf Goodman, Neiman Marcus, and all the major retailers, and received a lot of business from hotels. After working at Onia , I went to live in Spain for 8 months. While I was there, I got a call from industry people I had met during my time at Onia explaining that Helmut Lang was relaunching their men’s division after 8 years. I was able to work hand in hand with Andrew Rosen. I always looked up to Michael Jordan, but once I got into fashion Andrew Rosen was my Michael Jordan. I looked at him as the godfather of men’s fashion. To work beneath him doing merchandising and sales, that was really an incredible opportunity. A: Every opportunity has led you up until this point. Every job, every step you’ve taken, has led you to be able to own your own brand. 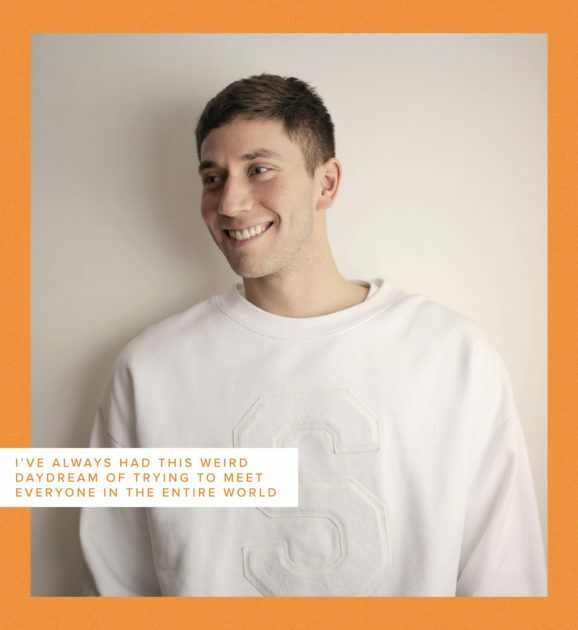 S: Yes, if I ever had a dream – It was to create my own brand one day. A: Can you tell us what specifically inspired you to create your line now [KROST]? S: That’s a great question. During my time at NYU, there has been so much happening in recent social movements, such as the #MeToo movement, Black Lives Matter, gun reform, and so many other societal issues. I hate to say it but last year, February 14th, the mass shooting took place in Parkland, Florida… and this was a pivotal moment. The organization March for Our Lives started almost immediately after, by students; I’m talking high school students. it was so inspiring to me. Listen, we’re not here curing cancer; we started a clothing line, right? But we want it to be so much more than that. We want to be a brand that positions itself first and foremost for its message and its story. If you think KROST, I want you to think of the community we’re trying to build. I think that a lot of people within the space try to use social responsibility as ploy. We want to really put it into practice. March For Our Lives was the main inspiration behind wanting to become involved with youth and at the same time pursue my passion. I wanted to be able to build the most epic team ever: the most important thing to me, personally and within business, is keeping the right people around you. A: So, you have the dream team? S: Yes, I have the dream team with my friends and I feel like we have a great start in creating a dream team within the company. I want our team to feel that this brand is as much theirs as it is mine, because that’s a fact. This brand is about family, teamwork, collaboration, and friendship. If we’re not practicing those ideals within this company, then we’re just fooling those on the outside. A: Do you feel like you’re filling a void within the fashion industry right now? S: That’s a good question. I think there’s a lot of companies that say “Hey, we’re donating 10% of this” and that’s great, but I don’t think there’s a lot of brands that say we want to be known for our message over our product. I love fashion, but I look at apparel as my first tangible vehicle of trying to tell a story. Now the vision for the brand is how many additional vehicles can we create to go and broaden that story, and create this community. For example, we have a video series that’s being produced centered around the question of what supporting your friends means to you. This video series is an additional vehicle, while we’re simultaneously developing a social forum on our website where people can come and find support for anything that may be happening in their everyday lives. This can be viewed as our third vehicle. A: Right, it’s not just that you’re partnering with a good cause. It’s the overall message of the whole brand and what you stand for. S: Yeah, you know? 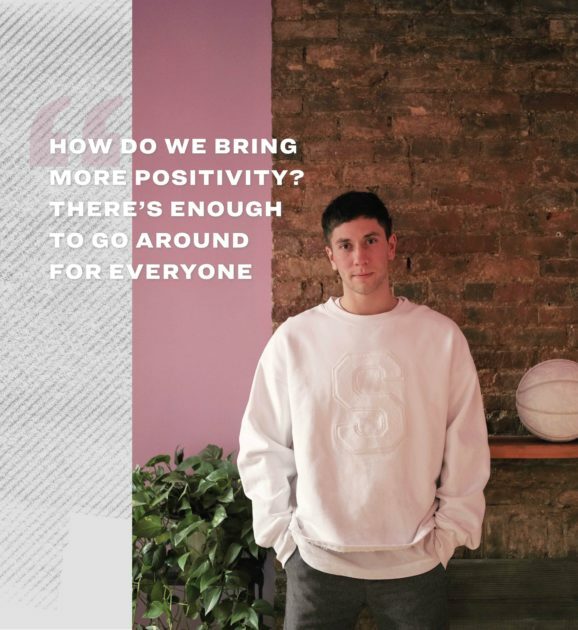 How do we bring more positivity? There’s enough to go around for everyone. Everyone can support one another. Me, I feel blessed that I have a genuine appreciation when I see all my friends around me doing incredible things. If there’s anything I can personally do to help support them, I try to do it. A: The line feels very personal and close to you in a way that’s different from other fashion labels right now. Is there anyone who stands out, who has been a mentor to you? S: I’ve had so many mentors in my throughout my life. But most importantly, I believe the people I’ve been able to surround myself with act as mentors to me everyday. My investors are mentors, my friends are my mentors and my family too. If you teach me, I’m going to listen, you know? We’re all students. I think that’s what’s great. A: Can you talk about more about how the March For Our Lives partnership came about? S: This goes back to putting social responsibility into practice. The organization was the inspiration behind the brand, so I was determined to make it official. We didn’t announce it until the day before we launched but it didn’t become official until summer, towards the end of August [2018.] We were put in touch with Matt Deitsch, he’s Chief Strategist of March For Our Lives. I kind of just poured my heart out to him one day. I explained this is the business I’m running, and said you guys are the inspiration and I would love to make this official. We became the first official partner, specifically in an apparel space. And they were like okay this is inspiring. They appointed a creative director for March For Our Lives to work with us and other opportunities that were coming to them. I think we’ve done such a good job at bringing additional awareness to the organization and of course, we want to be able to support them in a financial capacity as well so we just did a collaboration on a t-shirt in commemoration of those that lost their lives in the shooting. A: Is that one of your favorite pieces you’ve done so far? S: For sure, I think it means the most. It plays on everything that’s happening in society today. What we looked for in inspiration when designing the collection was the 1960s. If you look at the 1960s, that was the last decade that was filled with riots, protests, and movements. It was the Vietnam war, anti-war, anti-poverty, liberation, civil rights, the hippie movement. It was all youth that came together whether they knew each other or not. They wanted a different way of life; they came together to pave a different tomorrow. Unfortunately, this has come full circle now, it’s happening again. There are these famous photographs from the 1960s of students going up to the front lines of the police force, and they’d just stand there and put down flowers. It was a sign of peaceful protests. That’s kind of what this is all about. So we wanted to play on that idea of the flower. We teamed up with our branding agency, Nouvelle Administration and March for Our Lives and hit the drawing board . We designed a flower with 17 petals in commemoration of the 17 lives lost. Then March For Your Lives team came up with Save Your Friends as a play on Support Your Friends. I thought that was amazing. There’s a story behind everything whether people on the outside want to realize it or not. It was super special to get that out. A: Who do you hope to partner with next? S: That’s a big discussion we’re having right now. Mental health, suicide, bullying, all three are intertwined; All three are so relevant. The challenge is that, with March For Our Lives, for example, you bring 500,000 people marching down Pennsylvania Avenue screaming “We hate Guns” and maybe you could pass legislation. With mental health, bullying, and suicide, you’re trying to change the culture. You’re trying to change the way people act and think. That feels like a mountain on your back but it’s something that’s important so we’re actually trying to see what would be the best route to take on with something like that. A: With the success of your pop-up launch, do you have any plans for a physical space? S: We have a three-prong model: digital, physical, and experiential. In terms of having a long-term lease, yes 100%. With every collection, we will have a concept retail store until we feel like we’re at a point where we could go sign a multi-year lease. We’ll definitely have our next one coming this June. In terms of experiential, I think using a physical retail space is more of an asset to bring people together and raising awareness verses just selling clothing. A: What can we expect to see with your second collection coming out soon? S: So if you think about it, we called our first collection: First Semester. Second collection will be Second Semester. Two semesters in a year, then we’ll head into our sophomore year. We’ll get to eight collections before we graduate. With the first semester we wanted to show everyone what we’re capable of doing, and we created a lot of concept pieces. But the goal was seeing what the reception to these pieces would be. Again, this brand is about the story. A big part of telling that story is accessibility, inclusivity, and price point. These are things that really matter to me. With our Second Semester we’re incredibly excited to introduce DCO, which stands for dry clean only. 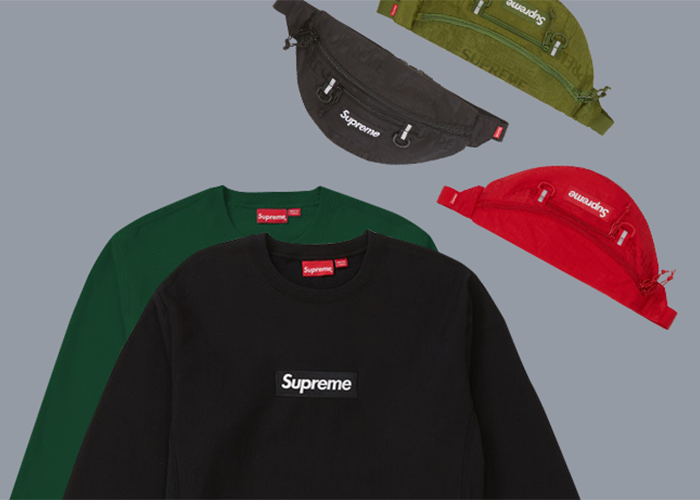 We’ll have our basics and DCO. We’re actually producing our DCO pieces here in New York, which has been really pleasurable. We produce all of our fleeces, knits, and jersey fabrics in LA. 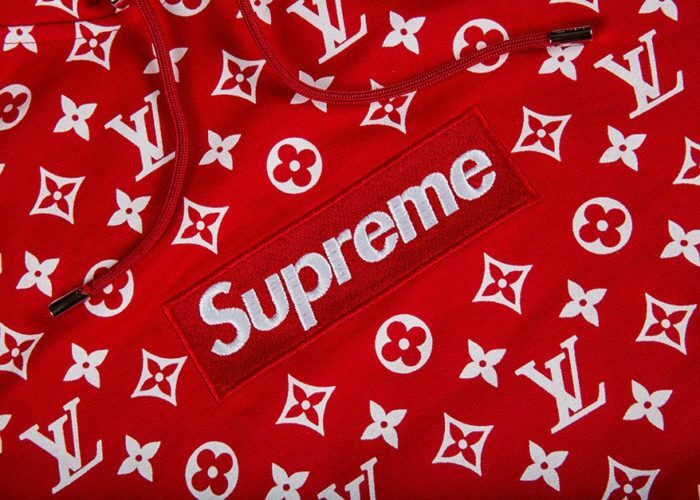 A: What’s your long term vision for the brand? The long term vision is kind of what we spoke about earlier. I think we look at ourselves as the apparel guys, but also continuously thinking through what additional vehicles we can create to help further our story and grow our community. It’s a way for the company itself to break into other categories. What can we create that fits within the brand and fits within the story to help us go and further that message, but at the same time breaking into other product categories and scaling the business that way. Support Your Friends has the business side and, of course, the philanthropic side. The goal is to actually create a non-profit organization, S.Y.F., Support Your Friends. We’re working on that. A: What’s something you want everyone to know about KROST? S: INCLUSIVITY. The fashion space feels too exclusive right now. We do have pricey items but we’ll always have more affordable pieces because we want everyone to be a part of this. There are so many people we want to have a part of this community. I’ve always had this weird daydream of trying to meet everyone in the entire world. Weird, right? But everyone has such an interesting story and there’s so much you can learn from everybody. Inclusivity though. I think that’s the way it should be and I’m trying to work towards that, especially within the fashion space. I always reiterate to our creative director that the goal of this brand is not about receiving accolades for design. Maybe on our next project but this one is about trying to do something good. Of course, at the same time I’m not sitting here saying I don’t want to make money, I do and I want to run a successful business. But inclusivity, it’s not something you normally feel within fashion. As many people that we can bring together, that’s the goal.